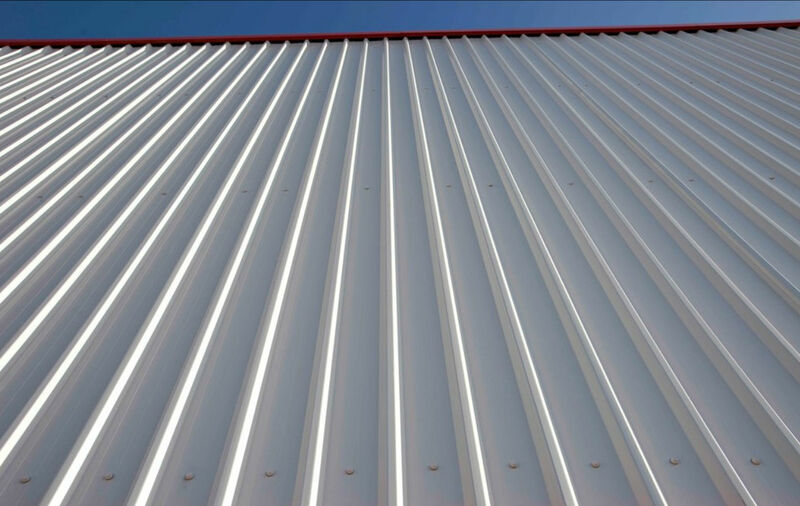 Metal roofs are the longest-lasting solution for commercial roofs. A metal roof is easy to maintain, can withstand high winds and fire, and can last up to 50 years or longer. When your metal roof eventually reaches the end of its life or develops issues, you have three primary options: reroofing, repairs, and retrofitting. Retrofitting is a great alternative to costly reroofing. 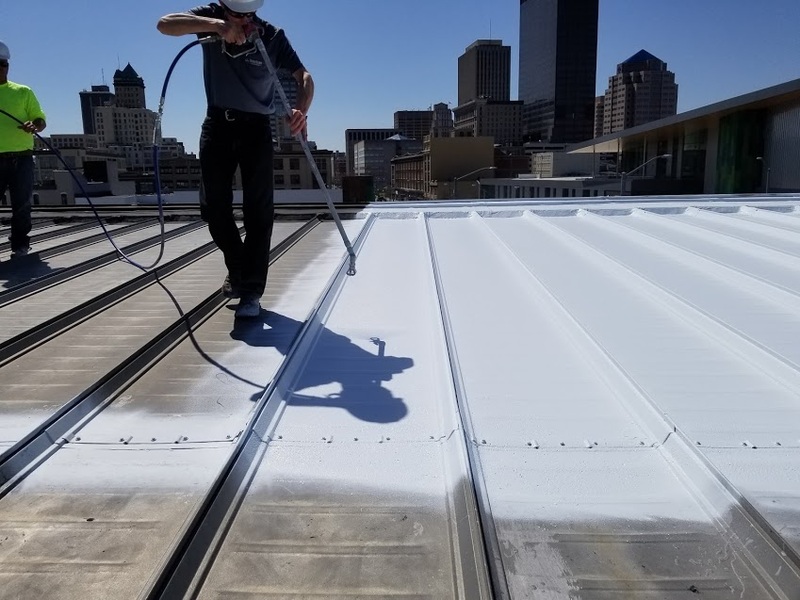 Recovering your roof by applying a new roofing system over the old one doesn’t just save money; it also allows your business to remain open while reducing waste. You have three primary options for retrofitting your metal roof: metal, single ply, and fluid applied roofing. It’s important to think carefully before you recover your metal roof or you may end up with a new roofing system that will be more trouble than it’s worth — and trap you in a cycle of repeated reroofing in the future. Metal roofing is hard to beat. It can last 50 years or longer and it won’t be punctured or damaged by sharp objects, hail, fire, and dropped objects. With a metal retrofit, you can expect your new roof to last about 30 to 40 years. A metal over metal retrofit is also lightweight and does not rely on your existing roof for support. A metal retrofit also retains the appearance of a quality metal roof with battens or standing seam ribs. Your new roof will be completely waterproof and offer low life-cycle costs with a membrane that won’t corrode or require resurfacing. After metal over metal, the second-best option to recover your metal roof is a fluid applied system. Not all systems are equal, however. It’s important that the fluid applied system does not change the design of the metal roof. For example, fabric over lap seams and seam tape are bad options. The roof should be left intact and protected with a quality fluid applied system installed by a certified contractor. — Cost-effective solution. A fluid applied system will be more affordable than metal over metal. — Fast and simple installation. 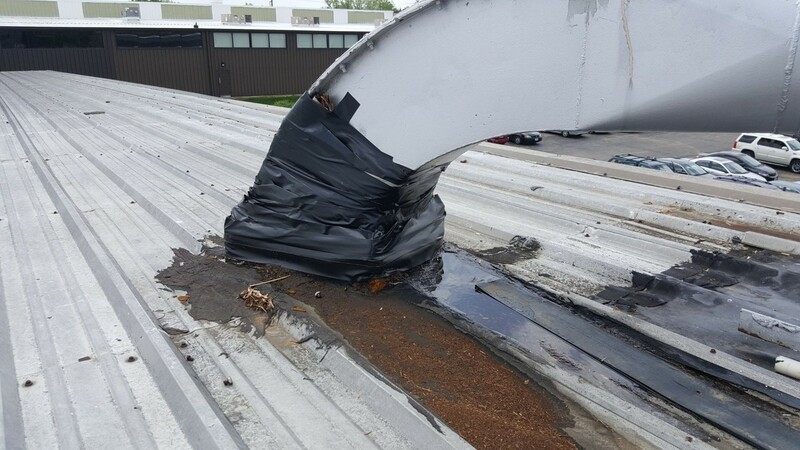 This type of roof recovery will not interfere with your business. — Flexible. Roof coatings are flexible enough to withstand movement of the existing metal panels without cracking or leaking. — Energy savings. 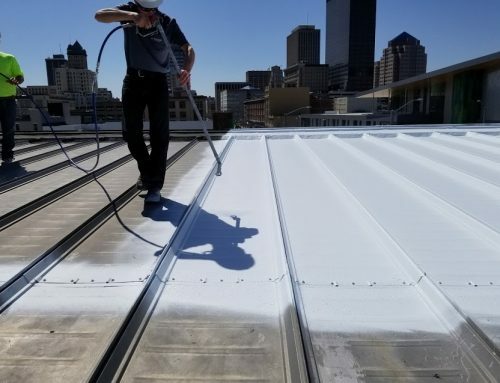 Fluid applied roofing can create a cool roof to reflect UV rays and cool your building. When applied correctly, a fluid applied roofing system is a sustainable and cost-effective solution. 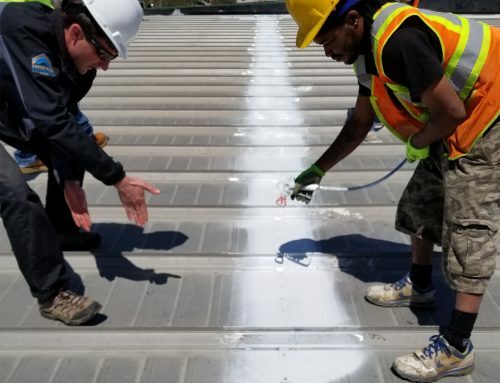 When the system wears out, it can be reapplied many times to avoid the high cost of a roof tear-off. 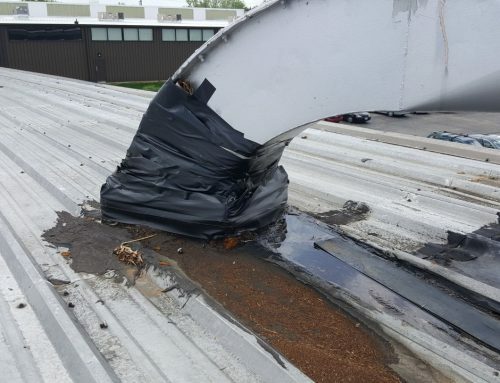 The worst solution to retrofit a metal roof is single ply over metal. While single ply will work to recover your roof last for years, it has the highest life-cycle cost. Once single ply is applied to the metal roof, you will be trapped in a reroof and tear-off cycle as the roof ages. Installing single ply over metal also destroys the integrity of the metal roof below. 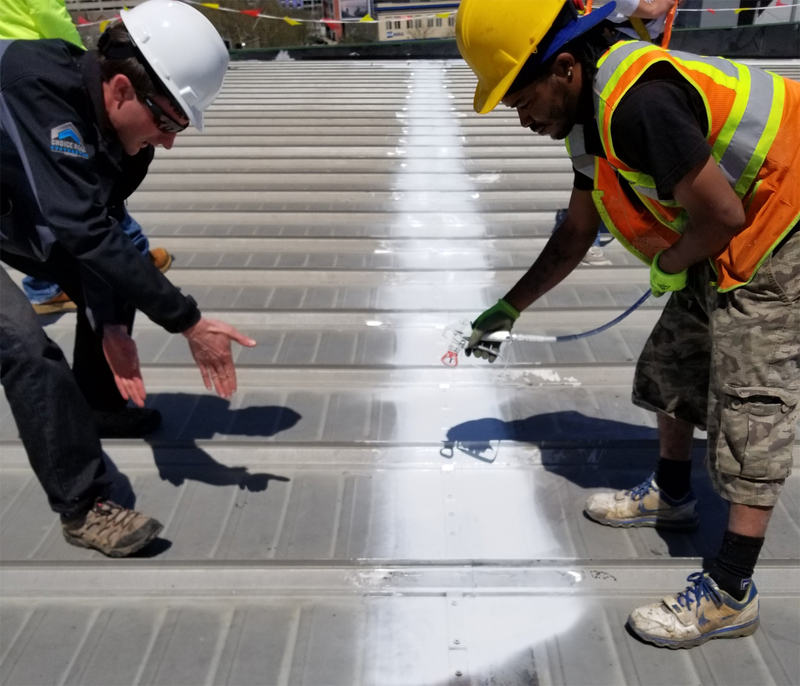 To achieve a sufficient uplift rating, single ply installation requires puncturing thousands of holes in your metal roof. Whereas metal roofs cannot be punctured by hail and sharp objects, single ply roofs definitely can. Keep in mind that existing metal roofs are usually 24 gauge or thinner steel. Your roof was not designed to function as a structural deck for a single ply system. There may be incompatibility issues that can further threaten the integrity of your metal retrofit. When you choose metal over metal, there will be few if any structural concerns as the new roof will have the same load path and deflection limits. The best metal roof retrofit protects your existing roof while giving you a new waterproof membrane. Single ply only solves one of these problems temporarily while giving you new cause for concern. Don’t sacrifice the durability and strength of your aging metal roof with single ply if it can be avoided.